Every serious herb gardener needs a Sage Plant: it is delicious and pretty! 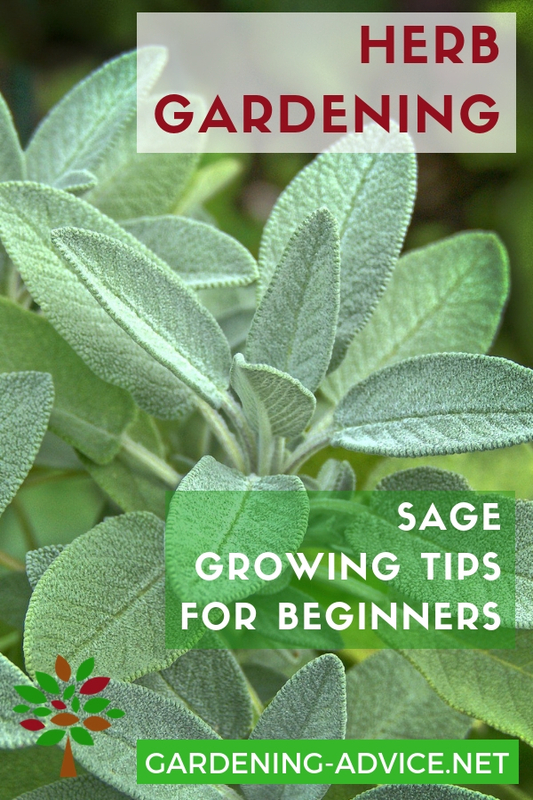 Growing Sage herb is not difficult. Grow a bush in a container or in your garden and enjoy these yummy leaves! 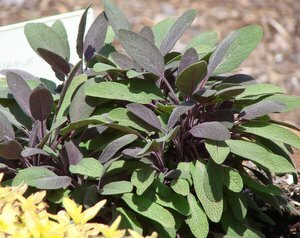 The evergreen Sage herb (Salvia officinalis) forms a nice shrub that produces pretty purple flowers during the summer. 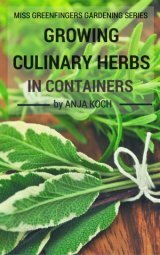 This is a very decorative herb to add to your container herb garden. Choose a nice large pot and you will have a real looker! A good sized container is important because a Sage plant will reach a size of two foot high and wide fairly quickly. Also colourful and attractive are the purple and the tricolor Sage (Salvia o. 'Purpurascens' and 'Tricolor'). Another good choice is the variegated Sage (Salvia o. 'Icterina') with golden variegated leaves. They are a great choice for large mixed herb containers because of their attractive foliage and of course they are edible too. 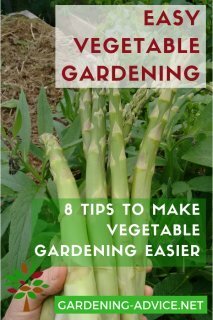 The elongated silvery leaves are great for Mediterranean dishes, pasta, meat or teas. Try frying some fresh leaves in a bit of butter for ravioli or gnocchi and top with Parmesan cheese. 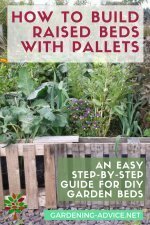 You can use the leaves fresh or dried. 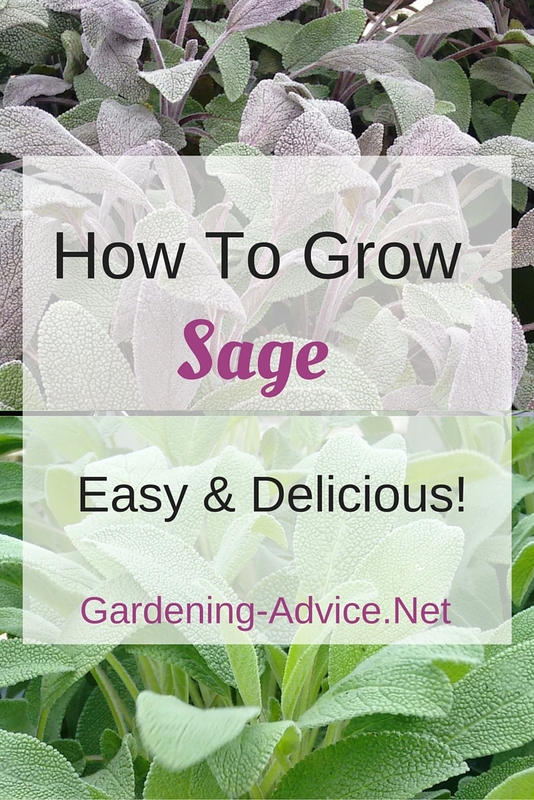 If you want to grow Sage in the ground choose a really well drained spot in full sun. In areas with wet winters it is a good idea to mix in some sand and gravel to ensure that the water can run off quickly. Mixing some sand into your potting soil if you a grow Sage bush in a container will ensure that the soil drains well and the roots are protected from rotting. Feed potted Sage plants about once a month from spring until late summer. Plants that have outgrown their containers should be re-potted in the spring. 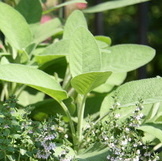 You will get the best flavour out of your Sage leaves if you plant them in the sunniest spot you have. If you grow it indoors choose a south facing window sill. 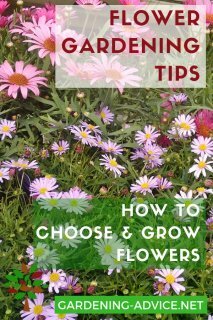 Sage can be grown from seeds but the coloured varieties have to be propagated from cuttings. If you are impatient like me you will buy a plant from a garden centre. Most people have enough in one Sage herb because of the size it grows to. 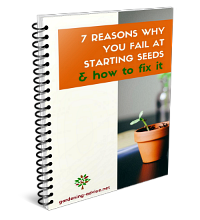 There is enough supply in one good sized plant for one family so growing from seed is hardly worth it. Sage benefits from being pruned lightly after flowering. 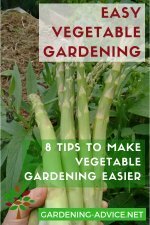 Large plants can be pruned in the spring or in late summer. Should winter temperatures drop below -10 C/14 F cover your Sage plant with some bubble wrap to protect it from frost damage. In very cold areas with prolonged frost periods you are better off to over-winter it in a cool but bright spot. 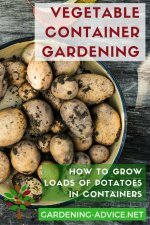 Check this page on how to protect plants from frost. You will have plenty of leaves to dry when you are cutting back your Sage bush. Spread the leaves onto a tray and dry them in a warm shaded place until they are dry. 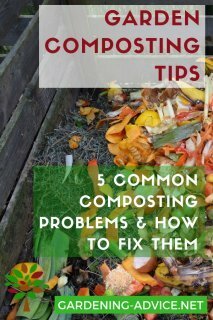 Store them in airtight containers and crunch them up before using them. You can harvest Sage all year round but the flavour will of course be more intense during the hot summer months. Just pick the leaves as you need them. The more tender leaves from the younger shoots are nicer than the older ones at the bottom! Check out this page for freezing and other methods of preserving.